Telomeres are complexes of DNA and proteins that are located at chromosome ends. The main function of telomeres is to protect genetic information stored in internal parts of chromosomes. Telomeres serves as molecular clock of cell life. Telomeres shorten during each cell division. If telomeres shorten below a certain length, cells die. Telomeric DNA covered by telomeric protein might form lasso-like loops that hide very ends of DNA and protect chromosome ends against their unwanted recognition as damaged DNA. We want to know how human telomeric proteins affect DNA and other proteins in order to understand molecular mechanism of the protective function of telomeres. Telomerase is an enzyme that extends telomeric DNA. Telomerase is idle in somatic cells but it is highly active in cancer and germ cells. 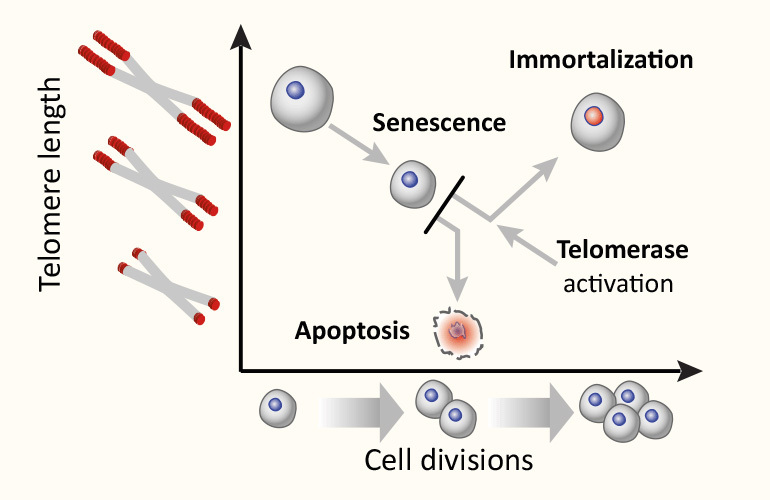 Thus, telomerase contribute to “immortalization” of frequently dividing germ cells and unfortunately also cancer cells. 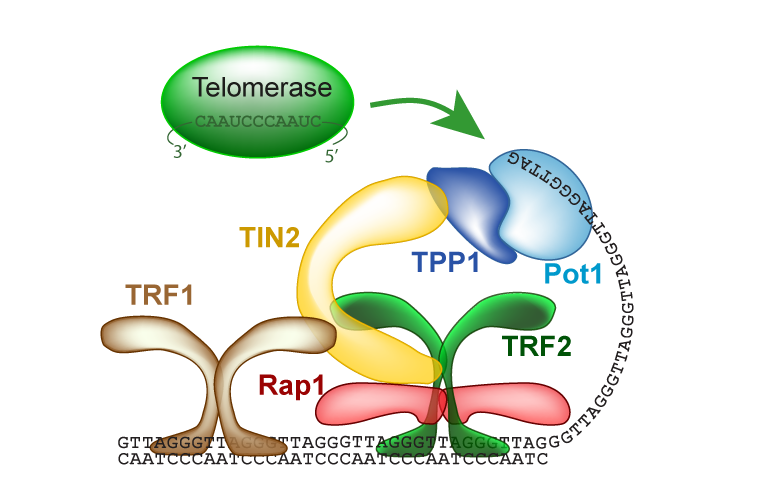 Telomerase action is affected by telomeric proteins. We want to understand mechanism how to turn off telomerase activity in cancer cells and this way defeat cancer more effectively. If you think that OUR experience, know-how and instrumentation is compatible with YOUR ideas and research topics, we can collaborate on an exciting project.